The DDJ-SR2 has dedicated key controls for Serato DJ Pro, allowing you to control the software features with the push of a button. 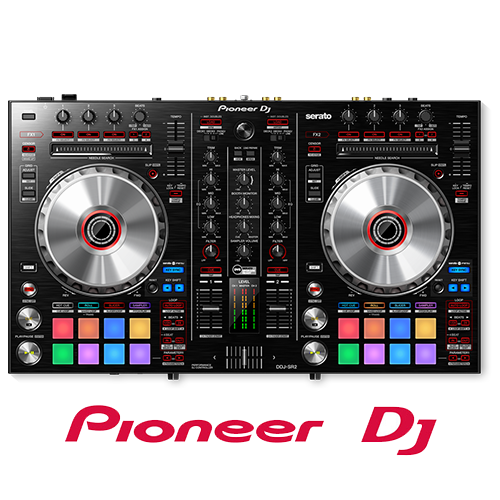 This 2-channel controller takes after our professional DJ gear with multicolored Performance Pads and a spacious layout. Being compact and 18% lighter than the DDJ-SR, the DDJ-SR2 is easy to transport to any gig. Signal-to-Noise Ratio : 105 dB. Distortion : < 0.003 % (USB). 1 Mic (1/4 inch TS Jack). 1 Booth (1/4 inch TRS Jack). 2 Headphone Monitor (1/4 inch Stereo Phone Jack, 3.5mm Stereo mini-jack).